Come out! Enjoy a one day event. This is going to be a way to push yourself and have that professional help that you know you need. time to jump in and enjoy photography. We have some really awesome events going on and please come and see what you can create! Learn to photograph beautiful buildings at night using a tripod. Exposures and techniques will be discussed and tried. Filters and tripods will be available for your use. A great night to enjoy the quite surroundings and local architecture. The only night all three buildings will be lit. Come take a walk through the beautiful lavender fields of Carousel Farm. Enjoy watching as the bees buzz around you and make their honey. Grab as many photographs as you can with Kathy leading your way. She will help you compose the best looking photographs at the most beautiful areas. Afterwards take a look through the farm store to see what they have. 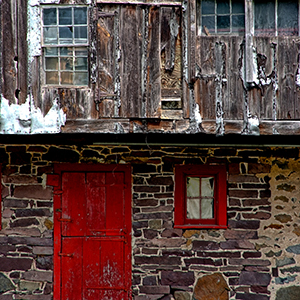 Bucks County Audubon Society Presents the “Art of the Barn” tour. This tour will take you around some barns of bucks county this is a wonderful opportunity for take beautiful photographs. This year’s tour will mainly include historic properties in the Rushland, Wrightstown, and Newtown areas encompassing approximately 22 miles. This year’s brand new tour will feature historic barns and the octagonal school house. Barns have been selected based on unique architecture, colorful histories, and modern uses! Get a chance to walk through history and photograph your adventure (maybe catch a ghost). Kathy will be by your side as Eastern State Penitentiary opens their gates to photographers to take as many photos as you would like. HDR (High Dynamic Range) Photography will be discussed and explained in detail to bring more contrast to your photos. A model will be available as well. Bring a tripod to get tack sharp photos. Don’t have one? Just ask and one will be provided. 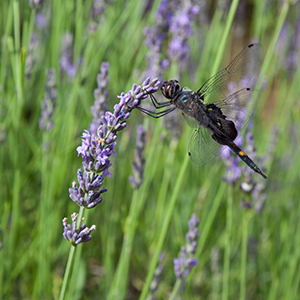 Photograph the beautiful gardens of Chanticleer. Gorgeous summer flowers, lotus, landscapes and ruins at the perfect time of night. I will provide macro lenses for you to try out, close up filters and more accessories. Get together as the sun goes down and learn to photograph the evening light using the moonlight, flashlights, tripods and long exposures. It’s a really cool experience if you’ve never done it before and you’ll come home with some unique shots! Kathy Peoples will bring flashlights and show you how to shoot using the right ISO and shutter speeds to get great results. $60 fee to register and $20 pay at the door. Bring your tripod. If you need one to borrow, let me know. Everyone knows that you have to start at the beginning. The people who have come to our beginners class have learned a lot and we want you to do the same! Come on out and see what we can offer you. Here is a rundown of what you will takeaway from this class: You will learn how to master your digital camera. Learn to understand what each function on your camera is and more importantly what it does. Not only will we explore the buttons and dials, we will cover proper exposure using ISO, f-stops, shutter speeds, depth of field, lenses, flash and composition. Discover how to stop the action of sports photos and learn how to take beautiful portraits of your loved ones. Hands-on instruction during each class. We had a great turnout for the Wolf Preserve workshop. It was a beautiful day to take photos and the wolves were on their best behavior. Well, since pictures are worth a thousand words, I’ll save my breath and show you.